For individuals, families, and lovers of food alike, the grocery store is a wondrous place full of delicious treats and everyday essentials. As we become accustomed to our shopping routine, many people will form habits for once they are inside of the super market, like walking the same path or picking up the same goods with little variation. And while these habits seem innocent enough they may have deeper implications, namely upon our spending. As we become set in our ways, bad grocery habits can form that can feel difficult or even impossible to break. 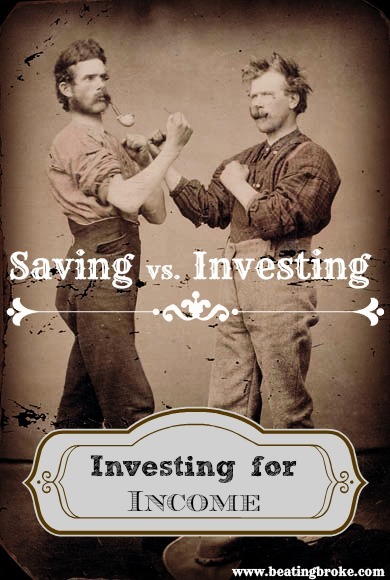 What’s worse is when we fail to realize that what we are doing is costing us. As a result, the key to undoing these habits is to first identify what they are and then figure out strategies to avoid falling into them. 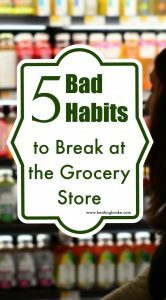 To that end, below are five common grocery store habits and a few suggestions to break them. One of the most common mistakes people make when heading off to the grocery store is failing to prepare a shopping list to help them navigate the store. A shopping list serves a number of purposes as not only does it provide you direction during your visit to the supermarket, reducing your likelihood of veering off track and buying something unnecessary, it also helps to give you a better sense of the things you need. Many times it is not until people return home that they realize they have made a mistake in their shopping, after they’ve grabbed the wrong item or accidentally purchased something they already had back in their home. A list helps to remove the uncertainty of what you may have need for and is an easy way to begin saving money. Often in supermarkets there are prepared meal sections where assortments of sushi, rotisserie chickens, and large selections of dessert choices lie in wait for shoppers to purchase them. For the people within the grocery store, the appeal of bypassing food that requires effort and instead settling on something already prepared can be a no-brainer, but that is just what supermarkets are counting on. Stores anticipate people prioritizing convenience over price and will markup their prepared meals. At the end of the day, you will typically get more bang for your buck from buying the ingredients and making a homecooked meal on your own, as cooking it for yourself can also provide a larger quantity of food. Brand loyalty has a surprisingly strong effect on shoppers, as many people will seek the same products from the same companies they have come to know and love. While it is true that quality varies across brands, loyalty to one variety may be costing you more than its worth. Almost every product has a competitor and with great deals being offered every day, it is important to be open to trying something new. Not only is there a chance it will taste better, but you will be saving money. And something else that is important to note is that not all generic store brands are cheaper than their name brand competitors. Be sure to check prices when at the store instead of just grabbing goods with the assumption they are less costly. Although grocery stores are responsible for identifying and removing expired or close to expired goods, it is not always an easy job and there are times when things manage to slip through the cracks. In the event of that, it is possible for consumers to unsuspectingly buy the goods and fall victim to foods going bad on them. At that point in time, you may find yourself out a few dollars that could have been easily saved by simply checking the expiration date of the product before adding it to your cart. Checking the expiration date also allows you to pick the freshest product, giving it a longer life and increasing your likelihood of finishing it without having to throw some away. This is particularly useful for dairy products like milk and cream. Sometimes it is hunger that reminds us to do our shopping and though our first instinct may be to head off to the store, you may want to hold off as shopping on an empty stomach can cost you more money than you’d think. Frequently when we are hungry we change our basic decision-making processes to take into account our condition. It is the thing that causes us to speed just a little as we head home from the drive-thru or causes us to push off a mountain of time-sensitive work for just a little while to put something in our stomachs. In the grocery store, hunger is known to fuel consumers to not only buy more food than they have need for, but it also increases the likelihood that they buy unhealthy food as they may pick up some snacks they are craving. By filling up a little before heading out, you are likely to curb this bad habit.